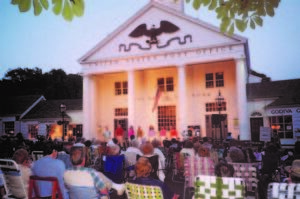 Stony Brook, NY – It’s show time once again in picturesque Stony Brook Village! The Ward Melville Heritage Organization’s (WMHO) free summer concerts will kick off its season of live music on July 8 at 7 pm with Ed DeCorsia & New York’s Most Da ngerous Big Band. 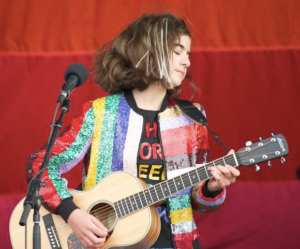 A highlight at the opening concert will also be a performance by the multi-talented singer-songwriter, multi-instrumentalist and actress Ava Della Pietra (pictured) directly from Broadway. Ava has performed in Les Miserables, White Christmas and in the original cast of School of Rock! Only 13 years old, Ava will cut her first EP early this fall and two of her songs from that album will be debuted at the concert!